Having company over for dinner or looking for the perfect family dish to feed your family? 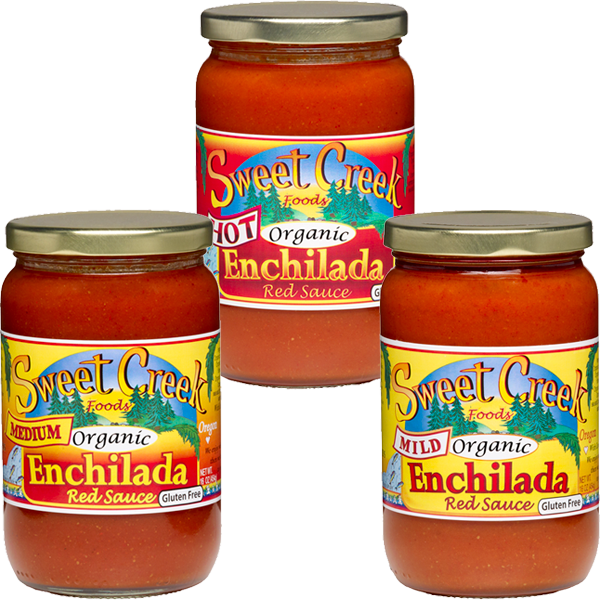 Try our amazing Enchilada sauces, the red sauce comes in mild, medium, hot and smoky chipotle. They make the best enchiladas ever! Use them as a sauce for enchiladas or use them in chili for a flavor that is sure to make mouths water. 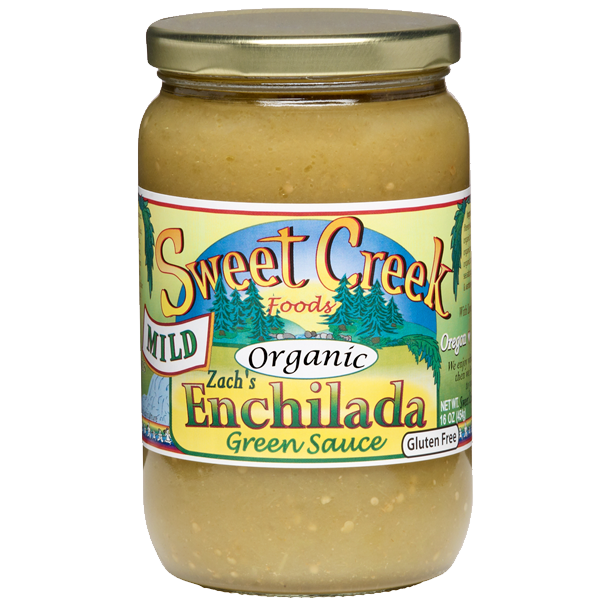 All of our enchilada sauces are Gluten free and made from local northwest tomatoes and tomatillos. Our delicious red sauces are made from all locally grown, organic Northwest tomatoes and continue to be a crowd pleaser. Mild, Medium, And hot spice levels lend this sauce to any foodies pallet. Try these sauces on enchiladas, chili, red rice or just as a burrito sauce. Yuuuuum! Available in Mild, Medium & Hot – and always scrumptious! 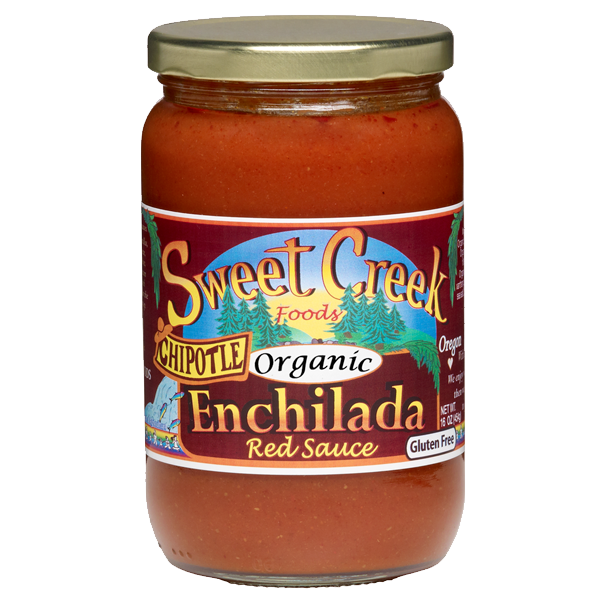 Our Chipotle enchilada sauce is for those fans of red sauces that desire a little more smoky flavor to their dishes. Using smoked chili powder, this sauce makes a mean chili when used as the base with the beans. mmmmmm, it will definitely keep you warm during chili season. Our green sauce is made from organic, Northwest tomatillos and Anaheim peppers. Its creamy texture and flavor make it a truly versatile sauce. smother chicken in it, make enchiladas, use it on rice, or in chili verde as the base. it is sure to make your mouth water and be a culinary pleasure for the whole crew.